Oh lord, I could not summon enough praise for The Nightrunner. I honestly have never been more obsessed with a series before. It consistently had me at the edge of my seat and biting my nails with such vivid suspense. The characters are so honest and believable that you quickly grow attached to them and it makes you concerned for their safety. Even if you are not an emotional masochist, it has enough passionate content to make anyone giggle and blush. The relationship between the main characters, Seregil and Alec, is just so touching and at times silly, cute, or even dramatic. I would highly recommend this book to anyone, but members of the GLBTTQ community in particular. And if that is not enough to keep you hooked, then the plot will have you up beyond sleeping hours. The main character, Seregil í Korit Solun Meringil Bôkthersa, better known as Lord Seregil of Rhiminee, is a character who is as interesting and complex as his name sounds. Flewelling evidently put a keen amount of care and attention into the development of her protagonist. 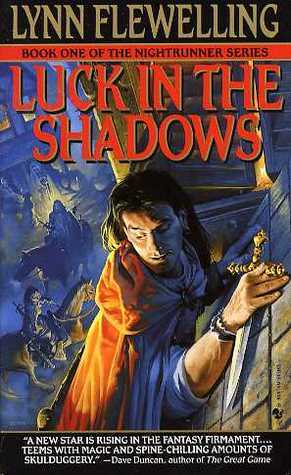 Although Seregil plays the hero in The Nightrunner series, he does not always act as such. His questionable morals have led him down the path of spying and thievery, though his heart is still true. 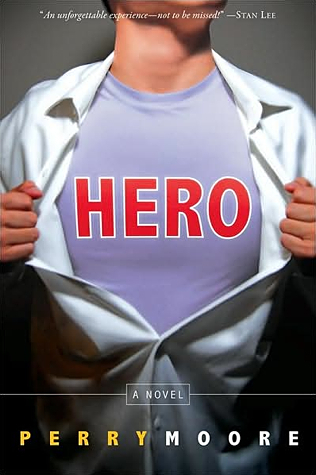 He has a dark past but a charming personality that lures the readers to follow his every step. He is charismatic, quirky, and sharp. The depth behind him creates a well-rounded identity that is thoroughly composed. He so perfect and flawed all at once and I crave to know what he is going to do next. There is a certain unpredictability that keeps his actions fresh. It is a pleasure to join him on his journey for he makes for wonderful company and entertainment. Rambling about my affections for this book is only the tip of the iceberg; to fully comprehend the perfection of this series, you must read it. The only thing I could think to complain about is how thirsty I am for more! So if you are not familiar with this book, do yourself the favor and pick it up. Flewelling provided us readers with the wonderful gift of sharing her imagination. It is quite inspiring! I can safely state this is, without a doubt, my favorite book.